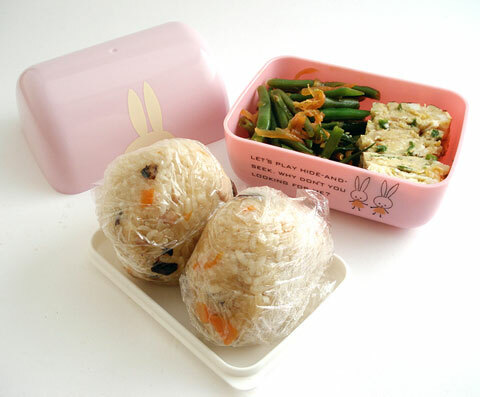 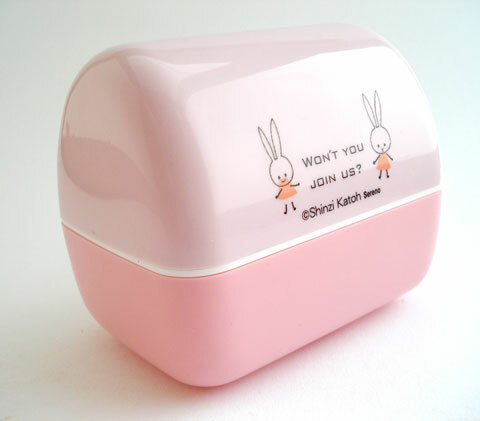 This week’s bento box is an example of a type of bento box which is designed to hold onigiri or omusubi (rice balls) securely. 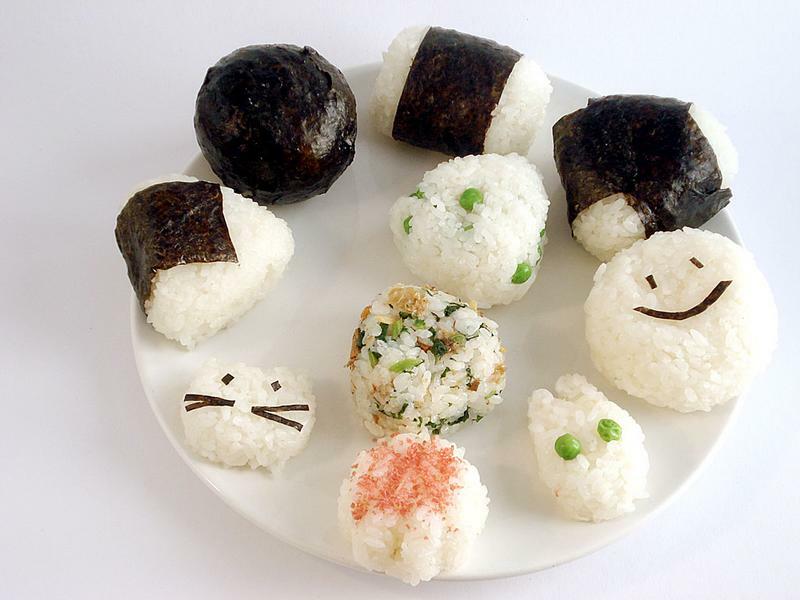 Onigiri (or omusubi, the other name for the same thing), the cute little rice ball, has really become popular outside of Japan in the last few years, in large part it seems due to its iconic status in anime and manga. 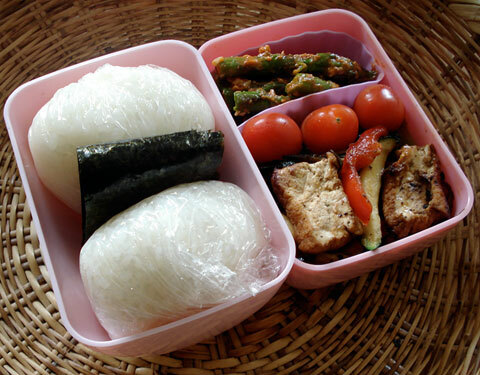 While the onigiri is not limited in Japanese food culture to just bento use, it’s an indispensable part of the bento maker’s repertoire.